- non-native speakers learn consciously. Non-native speakers understand the rules of English grammar, but can't use them in a sentence, use quickly and correctly in a real-life situation. What makes my book different is that it is written by a non-native speaker of English, from the viewpoint of someone who has consciously studied English grammar and is very much aware of how non-native speakers perceive and produce grammar. - This book is for all learners of English - elementary, intermediate and advanced. The grammar covered accounts for 99% of all grammar used by non-native speakers of English. - This book is also for language teachers - non-native and native alike. My unique take on English grammar will most certainly prove invaluable to fellow English teachers. Although this book is sold as a standalone textbook, it is best used as supplementary material to my first book Virtually Native. 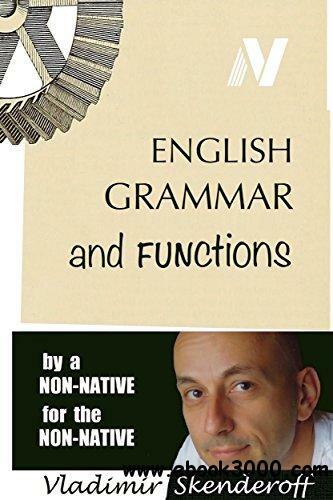 Grammar is not something that should be studied in isolation, grammar is an integral part of one's overall approach to language and I've laid out my approach/method of learning English in my first book Virtually Native.